… and whatsoever Adam called every living creature, that was the name thereof. So, you’re a square thinker. Not a creative.” He lifted the sleeved cup off the lunchette table and sipped. There it was. After a few minutes of conversation between sips of Starbucks, this manager had assessed and labeled me. As he savored his macchiato, or whatever the froofy drink was, his eyes barely concealed the calculations happening behind them. He was a manager. I was looking for a job. He sized me up and played mental Tetris to see if I fit in his organization. Since I don’t know what a creative is, I’m not complaining about not being one. I’m not sure about the square thinking either, but it’s no big deal. I had assessed him in a few minutes as well. The way he carried himself, the sound of his voice, and some of the phrases he used fit with his graying temples, highwall haircut, and the fact his clothing was crisp even though he was dressed casually for the office. I guessed former military. Maybe in service he honed his skills for reading people and he pegged me quickly. I don’t know. Everyone chafes a bit at being labeled. Most everyone thinks they’re such special individuals they defy labels and social constructs. We are just like a group of so many teenagers who must express their unique individuality by all having pink hair and nose rings. I just gotta be me, man. We are like men without chests and with small souls, who think they can augment the inside by leasing space on the outside for expression from a creative. The dragon slithers down the arm, peeking out of the sleeve, and almost making a hiss. All the while, the real dragon remains unseen with his foot on the guy’s neck. Some prefer their labels applied directly to the forehead. Labels are unavoidable and not all bad. Men have been categorizing and labeling things since the Garden of Eden, and since being kicked out of the garden, they’ve been getting a lot of it wrong. 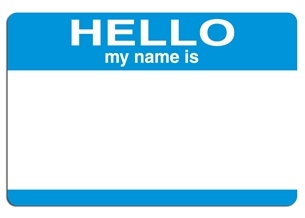 The act of naming is not sinful, but usurping authority to rename what God has already named, is. Maybe that is trying to be a creative. I don’t know. Since the CBA has repackaged October as a pastor depreciation month, let’s consider the label of “pastor.” The term pastor is rarely found by itself these days. Since Senior Pastor is so 1980s, we have Lead Pastor, Pastor for Preaching, Teaching Pastor, Pastor of Vision Casting, and I don’t know what they’ll come up with next. The question I’m most often asked is, Are you a full-time pastor? I want to respond to that question, “Is there any other kind?” I think I know what they mean by full-time, but I honestly don’t know how a man who is a pastor could be anything other than a pastor 24/7. They usually mean: Do you work some type of job to make a living while you pastor? Employment to support a preaching habit is a little long, so people usually say such a pastor is bi-vocational. Okay. if that’s what you want to call me, then, yes, I am bi-vocational and in that sense, not full-time. I encounter romantic notions and expressions about bi-vocational ministry and, I must admit, they sound a lot like “be ye warmed and filled” (James 2:16). I’ve worked the old 40+ my entire ministry, and it’s nothing to boast about. Some say, “Well, Paul made tents.” Yes he did, or maybe he was a leather worker, but let’s not get off track. The fact is that Paul worked with his hands to meet his life necessities when he needed to (Acts 20:34). When he first came to Corinth, he worked during the week and preached in the synagogue on the Sabbath days (Acts 18:3-4). When Silas and Timothy came to Corinth from Macedonia with support from other churches, he threw himself more into the ministry (Acts 18:5). This is the more-to-the-story that many don’t think about. Pastors do not have the gift of making the sun stand still. They do not have 32 hours to every day. Though a pastor may be working full time to support his family, the church typically still expects the pastor to do the full-time work of pastoring. I would also add, the concept many have of the responsibilities of a pastor is extra-biblical. Too many birds and not enough stones. I’m going to step in and take one for the team. Bi-vocational pastoring is always sub-standard and sometimes sinful. Paul wrote, “The Lord ordained that they which preach the gospel should live of the gospel” (1 Corinthians 9:14). From the context, Paul means that pastors should receive a living from the church without having to work another job (1 Corinthians 9:4-6). What constitutes a living will vary by time and place, but that is why he writes in terms of a living and not some fixed amount. He taught the same elsewhere (Galatians 6:6; 1 Timothy 5:17-18). Follow Paul’s argument in 1 Corinthians 9:4-14. The pastor’s living is not determined by what the church thinks he needs, or what they think he should live on. First, Paul makes a statement in question form that he has a right (exousia) to a sufficient living (1 Corinthians 9:4). Second, he defines a sufficient living relevant to the individual, because he may have a wife and children, and therefore his right to a living is a living for his entire family (1 Corinthians 9:5). Third, Paul further defines a living by being sufficient such that he would have no need to work to make money (1 Corinthians 9:6). Paul illustrates with three familiar examples of making a living (1 Corinthians 9:7). A soldier who is conscripted into the army should not pay his own way, nor work a side job in order to live while he fights for the army. A soldier is given room, board, and equipment in addition to being compensated with pay. A farmer that works his fields doesn’t work another job to support his farming. He eats of the fruit produced by his fields. A shepherd does not work another job in order to take care of his flock. Rather, he makes his living from his flock. Lest anyone want to quibble with him, Paul goes on to show the Scriptures teach the same (1 Corinthians 9:8-10). Jesus affirmed this principle, and even in reference to ministers (Luke 10:7). Paul states the direct and necessary consequence of Scripture teaching (1 Corinthians 9:11). Those who work at spiritual ministry should be supported by those who receive that ministry. The same principle applied to the priests in the temple (1 Corinthians 9:13). Paul reaches an emphatic conclusion that this is ordained by the Lord (1 Corinthians 9:14). The pastor has a right to a living and he also has the right of refusal (1 Corinthians 9:15). He exercised this right in Corinth and Thessalonica (2 Corinthians 11:8; 1 Thessalonians 2:9; 2 Thessalonians 3:8). The whole thrust of this teaching is that the church has a responsibility and does not have a right of refusal. This, that, and the other thing has been offered by churches as to why they are not meeting their biblical responsibility. I realize situations differ and I think that’s why Paul writes as he does, which makes the living relevant to the man and so on. I realize a lot of churches are small and cannot give a man a living. In those situations, we have to realize bi-vocational ministry is sub-standard, not ideal, but necessary. If, on the other hand, a church can, but is not giving their pastor a living, then bi-vocational ministry in this case is sinful, on the part of the church at least. I don’t believe the Bible teaches a church should give an extravagant living to their pastor. Of course, I don’t know any churches or pastors where this is even possible. Most of the pastors I know work hard at pastoring and work other jobs in order to support their families. I can’t think of a single one I’ve heard complain that their church isn’t paying them enough. I realize you cannot give what you do not have, but churches do need to seriously consider whether they are doing all they can for their pastor to have a living without earning money in other ways.